1. Missionaries are not wanted. In the surprisingly not so distant past, Europeans still had control over Cameroon (where we live). Colonists came in, took control of the land and actually considered these portions of Africa to be a part of their own country. The colonists often used brute force and murder to enforce their rule, which could hardly be opposed by people who had never seen guns before. I recorded a story of a group of the Kwakum people who call themselves the Til. They recount how the Germans forced them to live along the newly constructed road by killing more than half of their population (you can read the story HERE). Other Kwakum people have shown us trees upon which their grandfathers were hung when they refused to obey the colonial powers. There is a lingering anger and distrust of the Germans and the French in particular which has at times tainted the way people have seen Stacey and me. However, you might be surprised to hear that the Kwakum begged us to come. They sang and danced, listing the many reasons they thought we should work among them. During this first trip to Cameroon we visited with 8 people groups. One group built a house specifically for Bible translators. Others offered us food and other gifts in a bid to convince us to come to them. Their reasons for wanting us here were mixed: some believed that a translation project would preserve their language, others hoped that having white people among their villages would bring economic prosperity. However, there were also Christians among these tribes, who had come to love Jesus and his Word, but had very little access to either. Such individuals begged us to come because we are are all part of God's family and they want more of Christ. 2. Missionaries should not go where they are not wanted. This passage tells us that Jesus came to minister to a people who did not receive him. And they were his own people! This same Jesus said to his disciples: "I am sending you out as sheep in the midst of wolves" (Matthew 10:16). And, if history accurately records the events, nearly all of the disciples died seeking to honor Christ's command to follow him. Can we really say that missionaries ought only to go where they are wanted? Is that how the disciples interpreted the Great Commission? I think the answer is clear: No! Going to places where people hate us, where they kill us, where they despise our message...that is what we do! But what is astounding is that God uses his Word in these places. Just like what John 1 says about Jesus: he came to his own, they rejected him...But to all who did receive him he gave the right to be children of God. The Huaorani people rejected and killed Jim Elliot and the men with him. But later, faithful women missionaries followed and led many Huaorani to Christ. In John Paton's biography, he speaks of two missionaries that were killed in almost the exact same way as John Allen Chau (and then eaten!). But later God used Paton to bring entire islands to Christ. The history of the growth of the Christian church has been littered with the deaths of faithful men and women, and then a resulting flood of God-honoring conversion. In the words of Tertullian: "the blood of the martyrs is the seed of the church." The final accusation I would like to address is that in obeying the Great Commission, missionaries are going around destroying cultures. To be honest, the answer to this accusation is both "No, we don't" and "Yes, we do." First, our culture needs to stop reading The Poisonwood Bible. 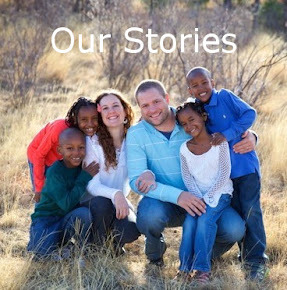 It is a fictional story written by a woman who only experienced life in Africa as a very young child. The reality is that missionaries are trained to be anthropologists. We are trained to study our host cultures carefully, to come in as learners, to learn their language, and to seek to present the Gospel of Jesus Christ in a culturally-appropriate way. If you take any time at all, you will find that missionaries have led the field of linguistics since its inception. The reason is that missionaries seek to engage people in their own language, which takes years of difficult study before we even begin to share the message of Christ. As I mentioned above, the Kwakum have welcomed us (in part) because they feel like our work preserves their language and culture. And it does! My Master's thesis focused on understanding how the Kwakum tell stories, both preserving their folktales and helping us to translate the Bible reflecting their own procedures for storytelling. We are even working now with an ethnomusicologist to preserve what is unique about Kwakum music. Now, all of that said, there are aspects of the culture that I am hoping and praying will be destroyed by our ministry. For instance, a couple of weeks ago Stacey came up to the house and said that a man was beating a neighbor boy out in the courtyard in front of some houses. I walked down to see this 11-year-old cowering in the mud as a 20-something railed on him with a stick. Most of the village was watching and I spent 30 minutes trying to persuade them that this was not right. And they mocked me! They told me that they had been raising kids for years, and who was I to tell them what to do with a bad kid? They said that everyone knows that some kids need violent beatings in public or they will never change. On separate occasions, I have also seen two children in our village who have rows upon rows of scars on their stomachs. I was told that a traditional way to deal with certain illnesses is to cut them with razor blades. One of those children has since tested positive for sickle-cell anemia. There is no number of cuts on her abdomen that will cure (or even help) this disease. These are just two of the practices that I see often here living with the Kwakum that I long to see eradicated. They are part of their culture: practices that they cling to and assume to be right. I am not ashamed that I want to destroy them. Neither was William Carey ashamed to eliminate widow burning, or Amy Carmichael to expose the temple prostitution of little girls. We are not here selling American culture, we are hoping to expose the Kwakum to what God wants for them. He doesn't want to stop the Kwakum from living in mud brick houses, or speaking Kwakum, or even playing their favorite types of drums. But God is not pleased with their beating of women and children, their drunkenness, or their giving of His glory to other spirits. And I long to see more and more Kwakum people worshipping the true God in their own language, with their own music, and lead by their own people. I long for a culture not destroyed, but transformed. Missionaries are not colonists, we are servants. We are not here to take, but to give. I don't want to own their land, make money off of their natural resources, or make them look or act like me. I don't want to control them, I don't even want to lead them. I want to help them, to give them access to God's Word, and the ability to read. I want them to see that eating too many mangoes does not cause malaria, but sleeping under a mosquito net helps. And I am doing my best to work myself out of a job. I want to see Kwakum men and women leading their own people in all of these things. I am writing this not for the world, but for my brothers and sisters. Please do not believe the lies, the accusations that you hear. 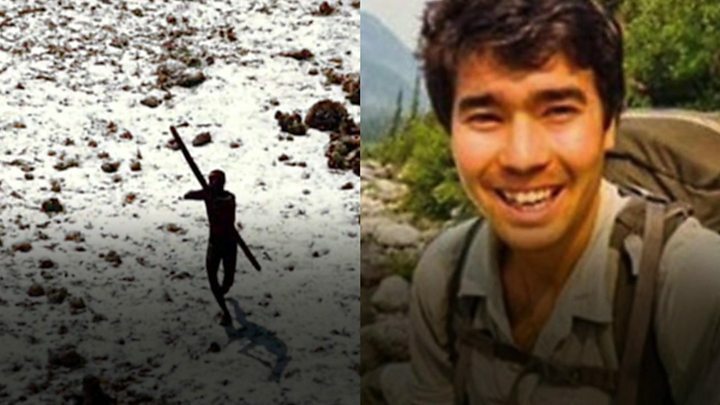 I never met John Allen Chau, I don't know his ministry philosophy, and I am not seeking to defend him. But I do appreciate how he signed his letters: soli deo gloria 'to God alone be the glory.' That is my heart, and the heart of every missionary I know. 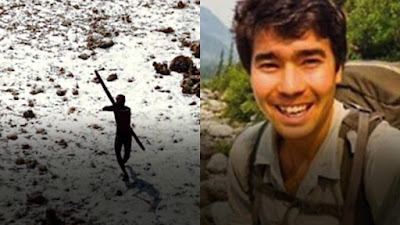 Rather than criticise, I implore you to take this time to pray for the Sentinelese people that Chau was trying to reach. May God do for them what he has done for so many other peoples in the world. And may He alone receive the glory.